A storm on the horizon with no safe port in sight. Each region in Canada has it’s own type of landmark. The prairies have their grain elevators. Ontario has water towers. Quebec has silver-spired church steeples. The North has inukshuks. And the edges, the edges, have lighthouses. 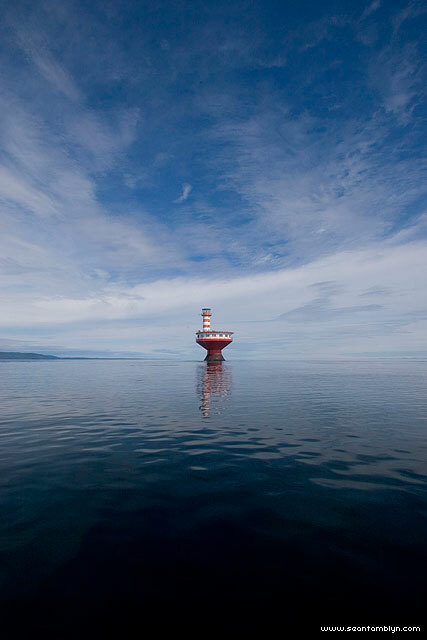 Canada has the longest coastline in the world, and lighthouses have long been our beacons back to a safe port. The Atlantic and Pacific coasts, the Great Lakes, and interior waterways all have had lighthouses as their landmarks for well over a century. But that era is drawing to a close. Above: twilight settles over the lighthouse and unique twin ranges of Georgian Bay’s Bustard Islands, possibly for the last time. 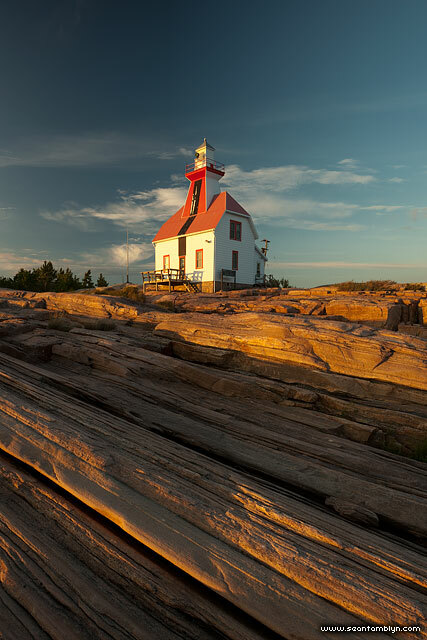 In 2008 the Canadian federal government passed the Heritage Lighthouse Protection Act, designed to help protect these unique beacons of our history for future generations. But, interpreting the letter of the law rather than the spirit of the law, the Canadian Coast Guard found a way to declare almost 1,000 lighthouses across Canada as being ‘surplus’ to their needs. Put simply, the Coast Guard doesn’t want to maintain them anymore. From their point of view, a simple steel tower with a light on top can do the job more efficiently than a lighthouse, whatever the cultural significance, either tearing down the original tower or giving it a slow death by neglect. A signed petition of no less than 25 names. A party (or parties) with a business plan to maintain the structure to heritage standards. A lighthouse, however, is an expensive proposition to maintain, and many individuals and smaller municipalities simply won’t be able to afford to take over their local lighthouse. As of January 20 2012, only 95 of the almost 1,000 ‘surplus’ lighthouses have been granted heritage status. Above, from left to right: the Prince Shoal or Haut Fond light near Tadoussac, Quebec, and the Snug Harbour, Bustard Islands, and Western Islands lights in Ontario’s Georgian Bay. Can’t anything else be done? 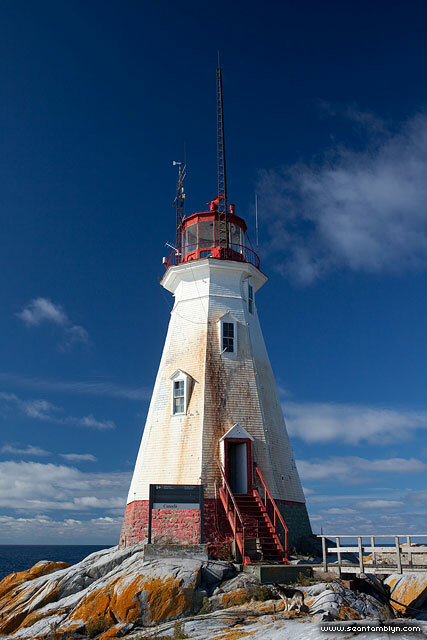 The Heritage Canada Foundation is organizing a petition to the federal government to help provide funds to local groups and communities to save Canada’s lighthouses. Without that assistance, it is feared that most of Canada’s historic lighthouses will be torn down. Currently, almost all of the lighthouses on Georgian Bay, Canada’s ‘sixth great lake’, have been declared as surplus, and only one has been nominated. Almost all of the lighthouses. The same story repeats elsewhere. Not just one or two, but in many places all of the local lighthouses could be torn down. An incalculable loss to the landscape and to the education of future generations. CLICK HERE TO SIGN THE PETITION TO SAVE CANADA’S LIGHTHOUSES. 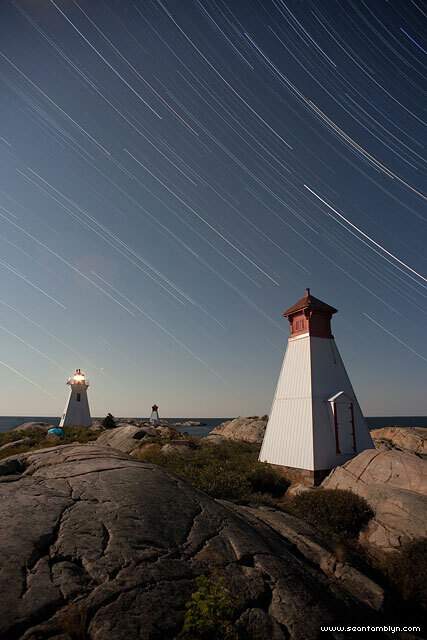 Imagine your coastline without its lighthouse, or visiting the Atlantic provinces without their iconic lights. In many cases they’ve been a part of the landscape for our entire lives. There’s a unique beauty to these lights that transcends that of normal buildings. They define the aesthetic of the landscape, be they stone or wood or steel. They project strength against the unyielding elements. And they broadcast hope into the night, their reassuring glow still leading travellers home to this very day. Help spread the word, and maybe future generations will actually be able to visit their history, instead of just reading about them in a book. Above: the light at Pointe au Baril begins to glow as twilight settles over Georgian Bay. This entry was posted on Friday, January 27th, 2012 at 2:35 pm. It is filed under Articles. You can follow any responses to this entry through the RSS 2.0 feed.